Guildline’s series of four-terminal AC Shunts feature low uncertainty (high accuracy), low temperature coefficients and excellent stability. 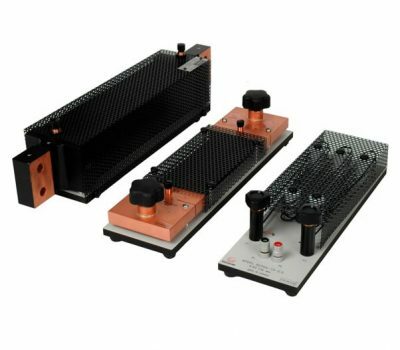 These new shunts are designed to be purely resistive with extremely small values of reactance. The 7340 shunts may be used over a wide frequency range from DC to 100 kHz. The shunts are designed to provide an output voltage in the range of 0.20 to 1 Volt for specified current models from 3 mA to 100 Amp. 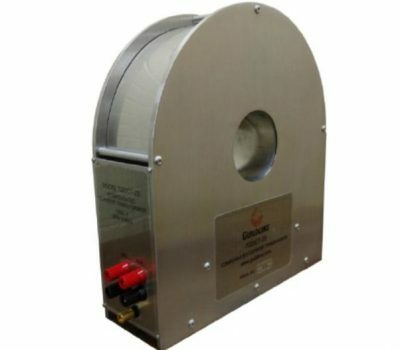 For the higher current ranges above 3 Amps the model 73401 Forced Convection Unit is to be used to provide air cooling. 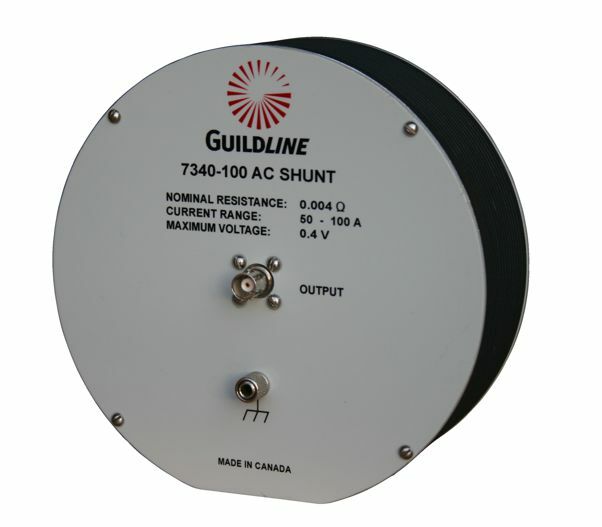 Guildline Instruments 7340 series of four-terminal AC Current Shunts feature low uncertainty (high accuracy), low temperature coefficients and excellent stability. These new shunts are designed to be purely resistive with extremely small values of reactance. The 7340 shunts may be used over a wide frequency range from DC to 100 kHz. The shunts are designed to provide an output voltage in the range of 0.20 to 1 Volt for specified current models from 3 mA to 100Amp. 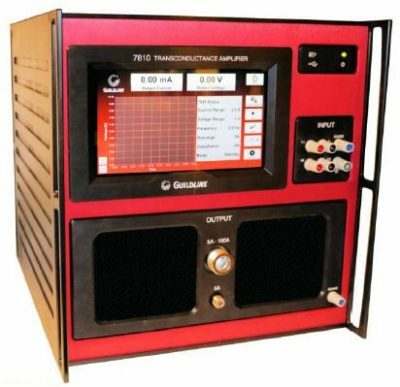 For the higher current ranges above 3 Amps the model 73401 Forced Convection Unit is to be used to provide air cooling. The 7340 AC Current Shunts can be used for a variety of AC/DC current measurement applications and have a nominal impedance range of 100Ω to 0.004Ω. 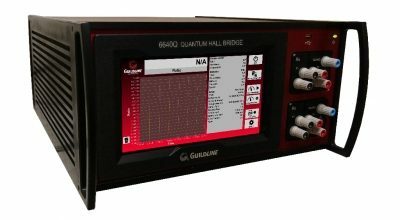 Applications include the calibration of precision AC Current Sources, Multi-function Calibrators, Long Scale DMM’s and Transconductance Amplifiers, as well as providing a traceable current signal using a traceable voltage standard from DC to 100 kHz.